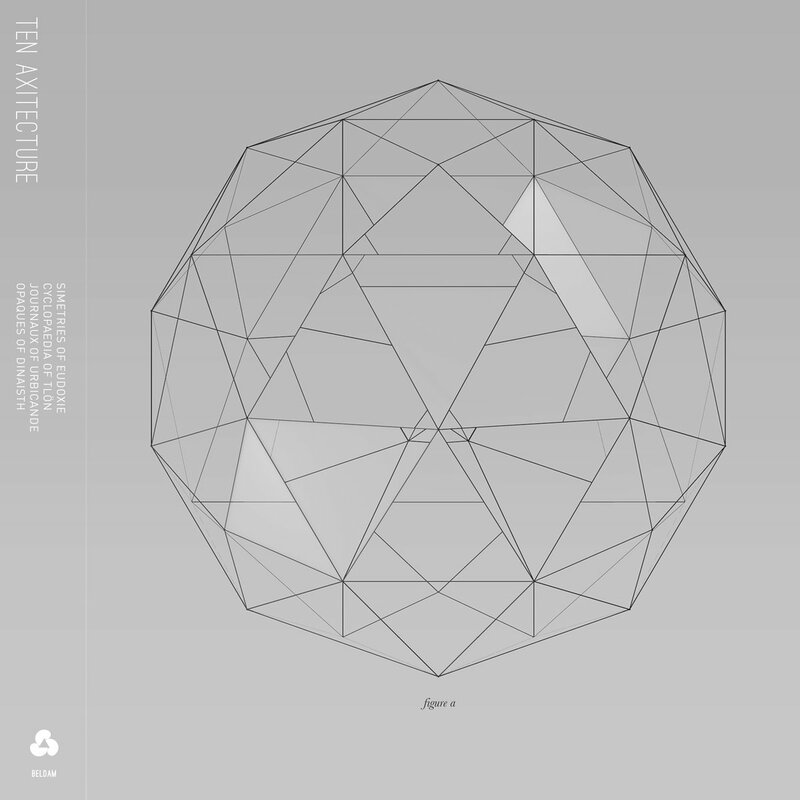 Ten Axitecture is a music album 1) that combines acoustic instruments and IDM. The 4 tracks are interpretations of different fictional worlds that have played a role in the Aliceffekt narrative: Eudoxie from Calvino's Invisible Cities, Borges' Tlon and Schuiten's Citees Obscures. Aliceffekt, The Alice Effect, is an explorative and narrative audio project by Devine Lu Linvega that travels across the fictional worlds of the Neauismetica to sing of its tales and characters where every album is a sort of travel diary across one of Dinaisth’s vast landscape. The album was released with Beldam Records on October 20, 2014.